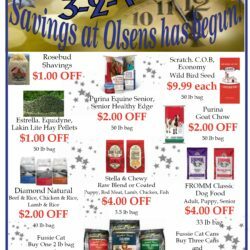 Olsen’s Grain is pleased to offer monthly specials for our Family Rewards members. 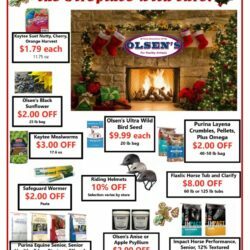 Family Rewards customers receive $1 off Olsen’s Mill products as well as exclusive discounts and savings! 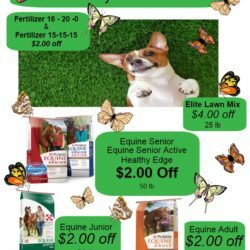 Sale prices are valid for Family Rewards members only. Family Rewards membership is free. Sign up at any Olsen’s store.